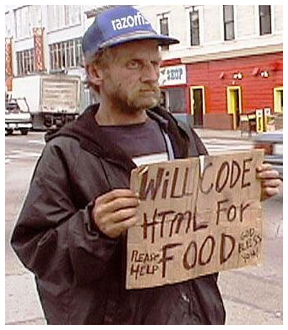 Today we’ll speak about most popular HTML tags. These are the tags that that you will find in almost any HTML template and these are the basic tags ( with the basic attributes) you should know and learn how to easily edit. Even if you have never edited HTML code, you will be able to easily make simple updates on your templates after reading this post. Use <br> tag for a line brake. Use this tag at the end of the sentence if you need the new one to start from the new line. This tag has no end tag so it’s even easier to use. For example: The next line will start below.<br> New line. HTML headings are meant to show what element on your page is the heading. Don’t use this tag to make some text bold. The headings are very important for the search engines, so use this tag attentively (it’s good to include your keywords to the headings). H1 headings should be used as main headings, followed by H2 headings and then by less important H3 headings accordingly. When you have just uploaded the files to your server and launched your website, there are some other steps you should take right away. In most cases the aim of building a website is to get potential customers, real customers and what’s most important bring the sales. It is vital to know who your audience is, how they find your website, where they come from, how long they stay on pages and at what point they leave the website etc etc. The short list of tools in our article today will help you to start in a right manner and move in a right way. We also assume that you are aware of the basic on page search engines optimization and have already made some efforts in this direction. So let’s start. You might have definitely heard about Google Analytics. This is the best free analytics tool available and they constantly add new great features. The place to register the account is www.google.com/analytics/ and all you initially need to get access to the tool is a gmail account. Once you are in, add a website to the list of your account and generate a special tracking code that you should place on every page of your website. 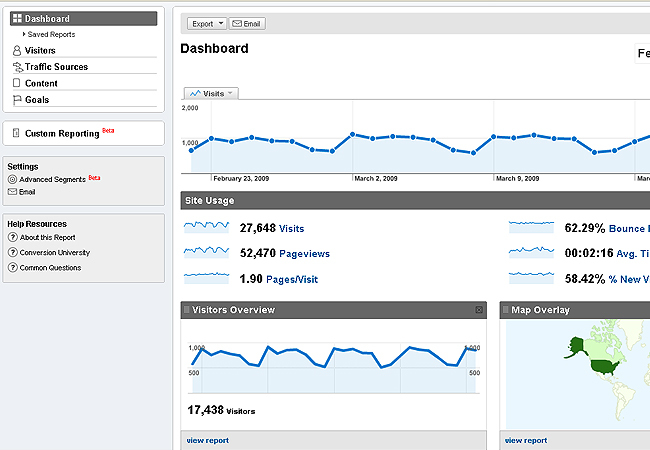 Now you have access to all the multiple reports: Visitors, Traffic sources, Content and Goals. At the very first page you will see the number of daily visits to your website, countries where people come from to visit your website, places in the internet where people come from, most visited pages, the average time on the website and basically short info about everything most important. Using the menu you can go deeper into details and receive the full info about your website visitors. You can also set the so called goal conversions. Goal conversion is the number of visitors that reach some goal you set. For example you sell something online but you don’t know how many people of those who visited your website actually made a purchase. To know your conversion just add the special code on to your “Thank you” page and check the report to see the results. Hey guys! Today we will try to give you some useful tips on choosing the right template for your business. Such a big number of templates that we have might be confusing and we hope that this small article will give you a good idea what template is actually what. You might have paid attention that the templates on our website are graphically divided into 2 sections: the templates menu on top and the list of templates categories on the right. Let us start with the menu on top. It presents the types of the products available. The name of the template type corresponds to the name of the program/software ( and needed to edit the template accordingly) that was used to create the template or indicates that the product is not the site design, like the logo and corporate identity templates for example. Choosing the right template for your business is mainly choosing the right template type. We’ll explain the difference between different template types below. Website Templates – this type of template is perfect for any starting business.Templates of this type usually consist of the flash animated header area and the template body done in HTML. These templates have great layouts, lots of free space allowing to absolutely change the layout of the page and they have enough room for your texts. Besides, they are easy to edit and even if you have never worked with the HTML code till this moment, you can fill your template with the needed texts and information in several hours. Flash Templates – these templates are good for photographers, developers who need a stunning portfolio, owners of the night clubs, restaurants etc. The templates are not easy to edit but they look really cool and attract attention because of the flash effects used. If you want and need to impress this template type is for you. Flash Intro Templates – for a wow effect. You can use them for every type of website, it’s enough to change the wording and colorscheme to have the flash intro matching your website style and business. SWiSH Templates – basically same flash templates but developed in a different program. There’s a slight difference in animation effects and the cost of the software. Swish is cheaper than Flash and some developers say that it has more user friendly interfaces. Logo templates – this template type speaks for itself. That’s a widest collection of various logos produced by our designers and illustrators for any type of business worth $21 only. We strongly recommend you to check our collection before ordering a logo at $500 price from some “pro” design studio. Results are same but why pay 20 times more? Corporate identity – another great solution for a starting company. Corporate identity package includes business cart, envelope and the letterhead. You can choose the logo and corporate identity package and our developers will help you to combine it into a perfect suit. PHP-Nuke Templates – a little bit old but still popular templates. PHP-Nuke is one of the first content management systems allowing to control your website contenr. We recommend you to buy this type of template only if you know what PHP-Nuke is. osCommerce Templates – the eshop templates for selling goods and products. They already come with the shopping cart, product catalog, option to set your own shipping costs and integrate with the desired payment gateways. You can get additional info on the site of the osCommerce software and acquire the amazing up to date design for your shop from us. Logosets– that’s a set of 10 logos in one package worth about $50. We recommend this product to web developers only as …well… why would anyone need 10 logos to build a single website? Icon Sets – that’s a set of 10 exceptional quality icons. You can purchase one if you’d like to refresh your website and add some new hint into design. phpBB Skins – designs for a world known and most used phpBB forum software . If you have a forum but bored with it’s standard theme, that’s the right template type. ZenCart Templates – another online ecommerce software, similar to osCommerce but a bit different in functionality and the admin area interface. Don’t forger to check the software website before making a decision. Our designs are perfect but what if you don’t like something about the software itself? WordPress Themes – designs for a popular blog system, easy to use and update. If you’re starting a small home or personal business that’s a good template to consider. Check WordPress website for additional info about the blog system. CRE Loaded Templates – meant for selling online. One of the latest but a commercial software to use. We offer multiple designs for this system so if you already have Cre Loaded running on your website, you’re in the right place to get the exciting design. We hope that this info will help you to choose the right template for your business. If you have some questions or need the professional advice, post a comment and we’ll get back to you. The tutorial we’ve prepared today will help you to easily update the main image in the template header. Follow the instructions and you’ll see that managing our templates is really easy and you can replace the main template header image with any photo from your personal collection or purchased from photo resources. If you’re looking into photo purchase, please pay attention that 72 dpi resolution is quite enough and is the standard for the web. Double click on the Photoshop icon on your desktop or choose it from the list of programs on your computer. Wait till the program loads. 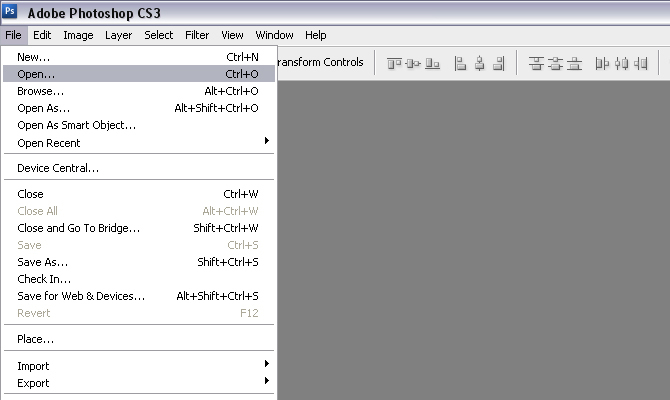 In the main program menu choose File>>Open and open the template .psd file from according location on your computer. Pay attention to the list of layers on the right, for your convenience we have divided it into folders. … and click on it to see the layers inside. The average template cost is $65 only. This is fantastic as you get professional up-to date design that costs at least 20 times less than a unique design by some average custom design studio! You may be asking yourself what’s the trick, but the answer is very simple. Web changes almost immediately and what was popular 5 years ago looks like an outdated crap now. Our designers keep pace with the times, we know all the latest design tendencies and we use the only up-to date techniques when creating the template. And again, speaking about the price, you can change your website designs every other year as it costs only $65 to get a new, shiny and amazing website. How long does it usually take to have a website designed? Weeks, months? You can get the website ready to go online in 5 minutes after the purchase! We will send you all the template source files in one .zip file, besides there can’t be any type of frustrating mistakes as it usually happens, as every templates passes quality control department. Reason 4: You don’t have to think about menu names or page layout. If you are just starting your business and not sure which pages the website of this or that type should have, don’t worry as we have already made it for you. When starting working in some direction like for example lawyer, business or even a toy website, we make a deep study of the subject. We review hundreds of websites to find out the similar features, the most needed elements, the key point of this direction. If you are not sure where to start you can rely on us, as at the end you will come to same results, so why spend your time if we have already done that for you. If you choose a theme based template like Wordpres for example, changing your website design will take no longer than a few minutes. We have multiple themes to offer you and we add new templates daily so come visit us at least once a week for the updates. That’s probably one of the most complicated tasks to explain what you need and how you need it. We have solved this problem. We have over 23 thousands of designs in our collection, so even if you need something very very special, you will definitely find it among such a variety of templates of different typed and categories. To make it easier, we have tagged all the templates with the keywords and you can use the template search to easily find what you need. The total number of websites on the Internet has now exceeded 200 million. Even if the template has been purchased 3 times, the possibility you will meet a similar website online is same as meeting the dinosaur in the center of New York. Browsing the websites online we sometimes realize that it is one stunning photo that makes the site look impressive but we don’t think how much it costs to get such an image. You can get low quality photos for $1 and you can get real works of art for $500. With our templates you don’t have to pay for the photo or illustration separately. With the template purchase you get the license to use the photo from the template on your website which considerably helps to keep the development costs down and still have the photo that is worth to look at. Apart from website design templates we offer the variety of products for your business. If you don’t have a logo, you can get one for as low as $20. If you need a business card, envelope and the letterhead, no problem, you can get it all for a low price and in one place here. We have invented new types of templates that give you full control over your website. Our Dynamic Flash Photo Galleries is the solution photographers and people of art were desperately looking for. Now you can login to the admin area and make the necessary updates in minutes. Reason 11: You can order template customization right here. We’re flexible. 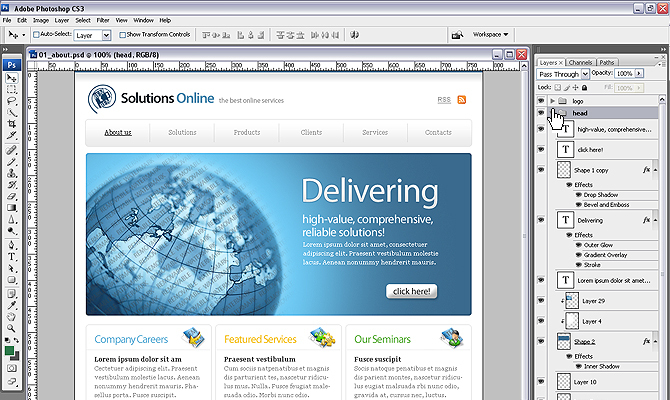 We have very competitive pricing for template customization services. You don’t have to be a pro to have your website customized, we will do all the work for you. We will add your logo and texts, upload the website online and make sure it works perfect.